Report: Expect higher amounts of ticks this spring, summer - Sit. Stay. Forever. Summer is just around the corner. This time of year we all look forward to spending more time outside hiking, camping, trail rides and horse shows; all activities we love. Spending more time outside also means more time dealing with pesky and sometimes even potentially dangers insects. We have the responsibility of a basic understanding of ticks and lyme disease for ourselves and our pets. A report by the National Pest Management Association (NPMA - a non-profit organization with more than 5,500 members from around the world) says residents in New York and the northeast can expect a higher amount of ticks this spring and summer. The NPMA also expects rodents will try to stay indoors for warmth due to an expected cold and rainy spring. "While regions across the country were either unseasonably cold or warm this past winter, there's one factor that almost all of them had in common – excessive moisture," said Jim Fredericks, Ph.D., chief entomologist for the NPMA. 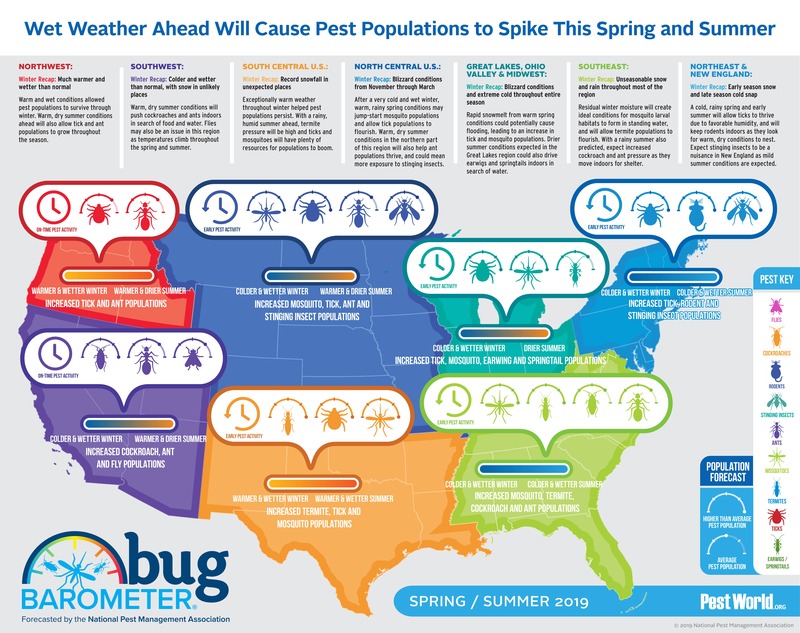 "From record-setting snow in parts of Texas and Arizona to excessive rain in the southeast, continued precipitation predicted for most of the country this upcoming season will allow pest populations to continue to thrive and multiply." Keep long hair tied back. Follow your vet's suggestion for regular flea and tick prevention treatment. Officials say most tick species prefer high humidity and damp areas. Reduce shady and damp areas in the yard. Replace plants that deer love to browse with deer-resistant plants. Remove leaf litter from field edges near wooded or unmanaged areas. Remove waste, secure and remove excess seed from bird feeders. Avoid wood piles, stone walls or other structures that would shelter mice. Establish a three-foot gravel buffer zone between wooded areas and fields. Install a deer fence to help reduce deer from dispersing ticks. Consider pesticide applications if your risk from ticks is unacceptable. Consider using plant-based, least toxic pesticides first. If you have pets, there's a good chance at some point you may have to deal with the control of ticks. Be sure to read the entire pesticide label and follow the directions closely! More information on tick prevention and safety.